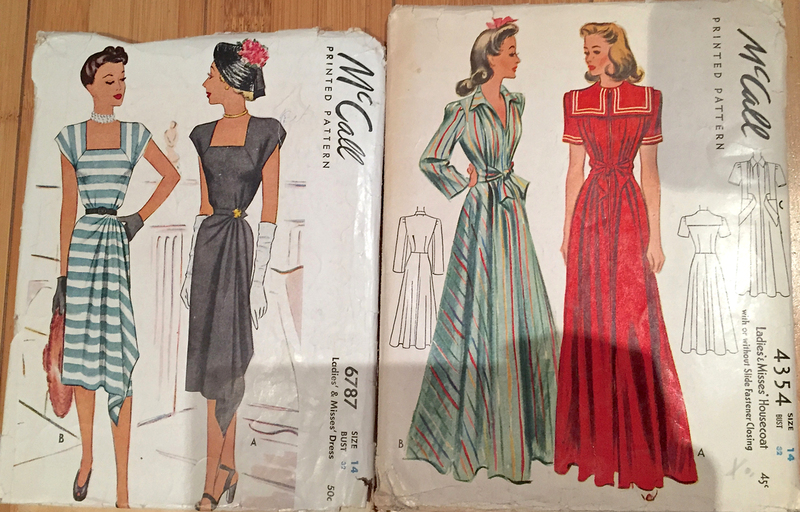 How and when did you start collecting vintage sewing patterns? I started collecting around about the same time I started sewing - which was 2010. 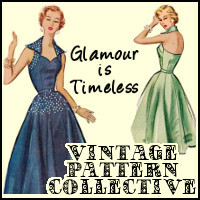 I'd been wearing vintage for a while already so it was natural that I would start sewing vintage as well. And that decision came from vintage becoming quite expensive and sewing was much more affordable as I could get more than one garment out of a pattern. I very much stick to vintage patterns for my own clothes, as well as faithful reproduction (like EvaDress) - I'm not a fan of the Big 4 Reissues as they have the same problems as modern patterns. How many patterns do you have, and how do you store them? 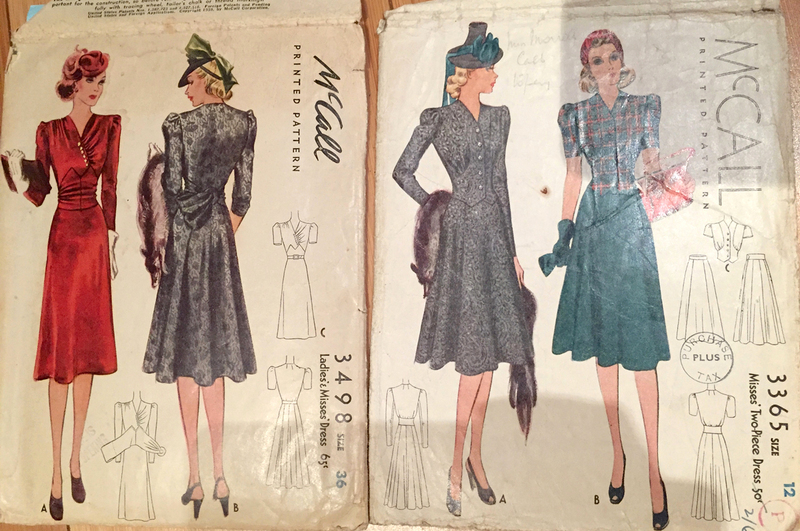 My pattern count is 141, excluding reproduction patterns. I store them in A4 sized plastic envelopes which then go into clear plastic buckets. 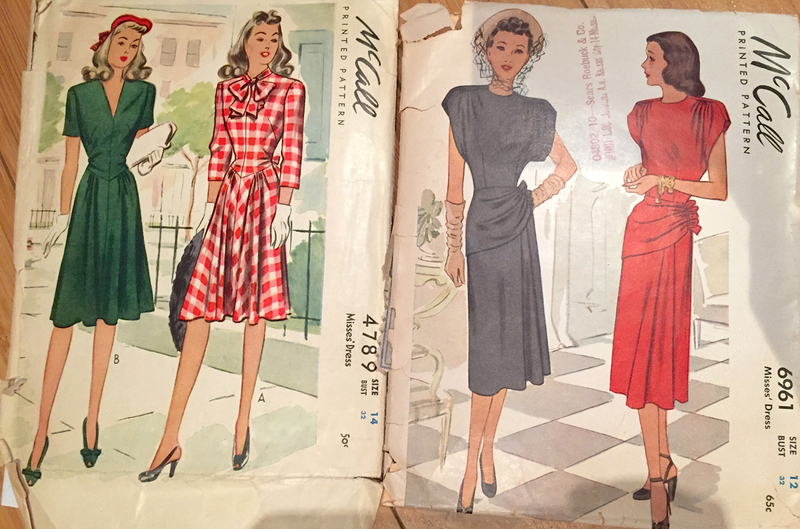 They are organized by type: 40s Dresses, Separates, 50s Dresses and Miscellaneous (things like robes, coats and reproduction). The A4 envelopes are good because once I trace the pattern, the pieces fit nicely and I can put the original back in its envelope and not touch it again. Sometimes I even get around to scanning the instructions, layout and envelope and printing that too. I've gotten into the habit of tracing now and while it's super tedious, its easier to just do it as soon as I get the pattern and then I'm free to sew it up whenever. THAT SAID, I do have a rather large backlog of un-traced patterns. Ugh! What attracts you to collect the patterns you have? Definitely the styles, followed by the illustrations. The illustrations give me ideas for what to make up out of that pattern. Also, I find sewing from vintage patterns SO much easier! 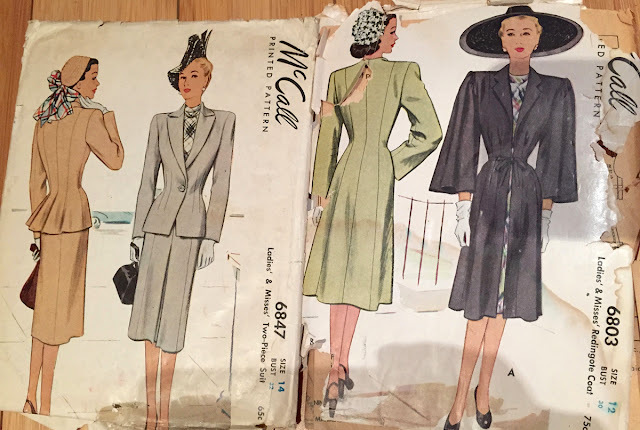 You get told when you start sewing that vintage patterns are hard, but I find it the complete opposite. 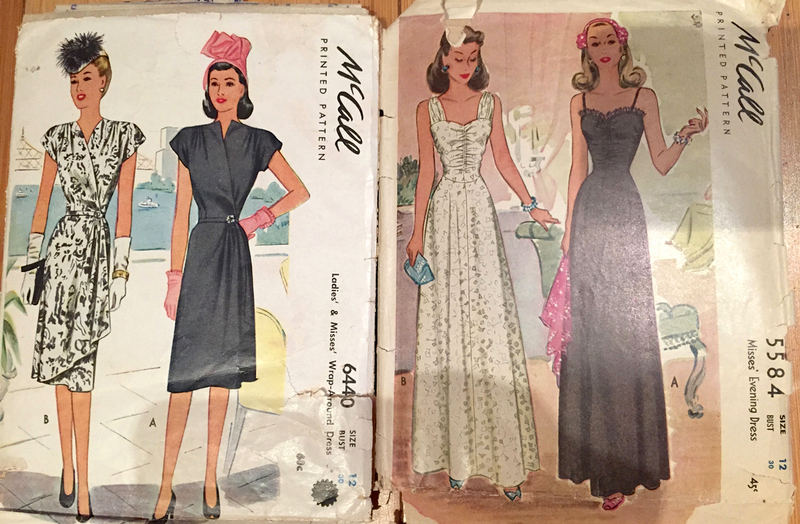 I can choose a single sized pattern where each piece is already pre-cut, on paper that has lasted more than 60 years and is STILL more durable than the flimsy crap they give you in modern pattern envelopes. Then I don't have to wrestle that flimsy GIANT sheet of paper to trace off or cut my size. A size which is usually about 4" too big in modern patterns. 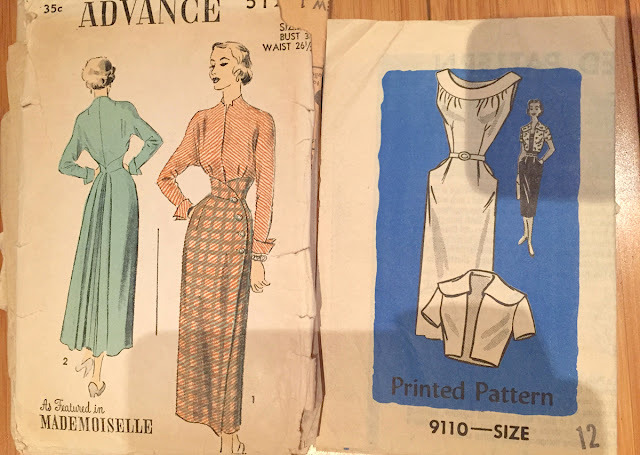 Vintage does not have nearly as much "wearing ease". Also, I find the instructions plenty helpful - the diagrams tell you so much and they're a lot more straightforward than the overwrought hand holding accompanying a modern pattern. And I like the vintage details, like using a "regulation placket" to finish off a skirt or dress instead of a zipper. Do you have any favourite style eras? I love designs from 1939 as well, a great year for fashion! 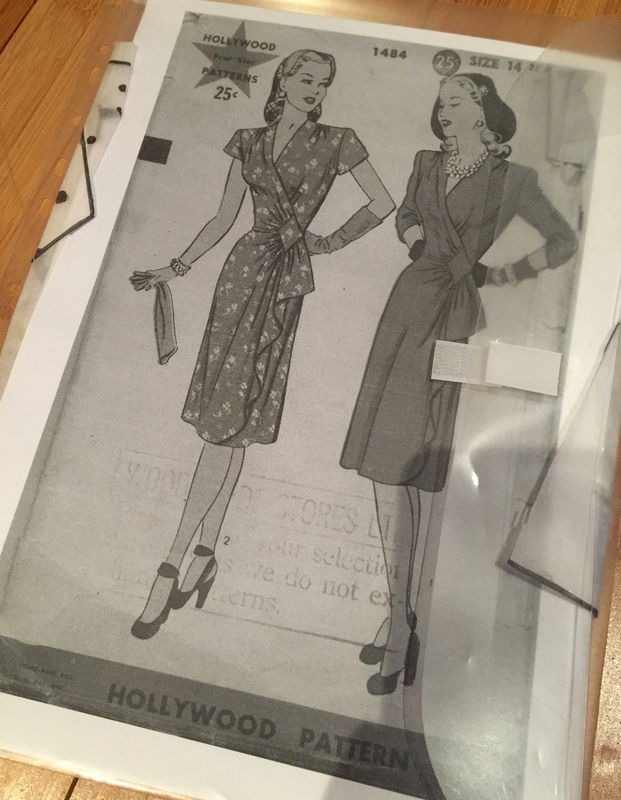 Earlier 30s look fabulous on the envelope, but haven't quite worked out for me (yet) in actuality. The proportions don't suit my frame so much and it tends toward a "costume" look around then - I don't think you can wear the fashions from that era without the appropriate hair, shoes and accessories. I would look rather odd with my decidedly modern haircut. I do also love the 50s mostly for office wear like pencil skirts, little blouses and slim dresses - Mail Order 9110 is a fairly basic 50s pattern which makes the perfect office dress. I made 2 within weeks of purchasing the pattern. It's so fast to make and has pockets - bonus! 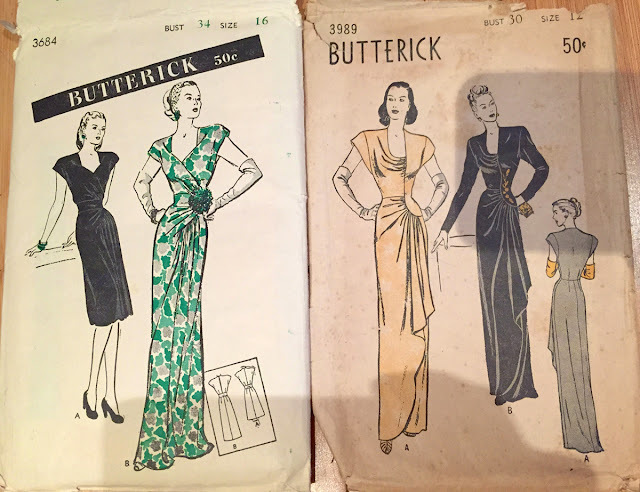 What’s the oldest pattern in your collection, and have you made it? 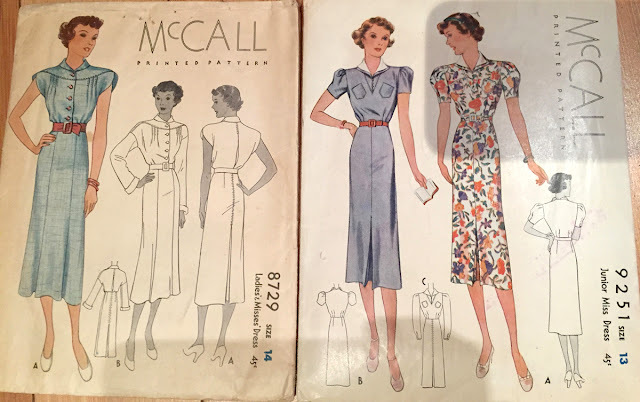 McCall 9251 from 1937 - I haven't made it yet, mostly for the reasons stated above. Can you pick three favourites - and have you made them? It's rather tricky - I do love Hollywood 1484 which I don't even have an original copy of. I saw it on ebay ages ago and the seller wouldn't budge on the $65 listed price. Thankfully one of my awesome Facebook page followers said she had it and was willing to send it to me all the way from Canada. I had it on loan for FAR too long, but eventually traced it and sent it back (with a little extra surprises to make up for my lateness!). I've since made it three times and have many plans to make it again in different fabrics. McCall 6440 has been made FOUR times - it is such a quick one to finish, takes only a few hours total as it doesn't have any closures bar a few hooks and eyes. I French seam every seam, and narrow hem it so its super tidy inside and out. 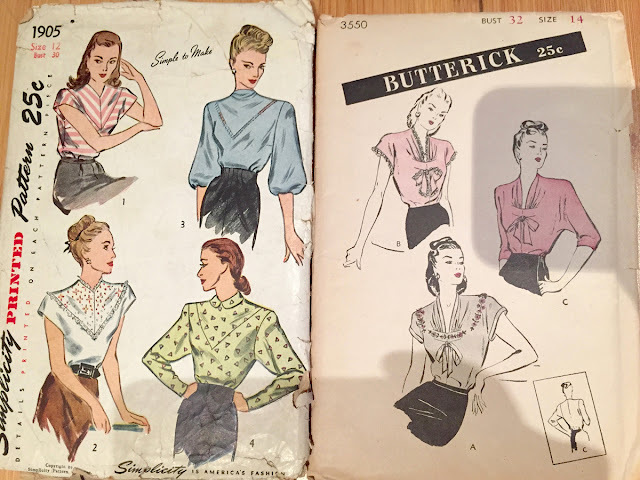 Blouse pattern Butterick 3550 is just so quintessentially 40s as well. I've made it up once, but I kind of botched it a bit so I will need to reconsider my approach next time I make it. It begs to be made up of drapey rayon, but the bow I put on mine just dragged the neckline down too much. Is there a pattern you think you’ll never make, but will never get rid of? I wouldn't say never but McCall 9251 is pretty low down the list of priorities. 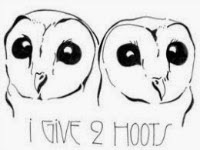 I'd make it up for a 30s themed event though. Mostly ebay and Etsy. I have a rather large Watch List/Favorites on those sites and some favourite sellers that I follow. Bidding makes me super nervous, but it's landed me some goodies. The most I've paid is probably about $80 which is quite a lot, but you have to factor in our crappy Australian dollar and the sometimes extortionate (as in this case) shipping fees us Aussies have to pay sometimes. 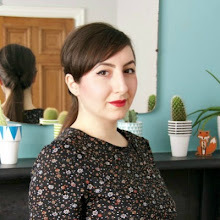 Finding patterns locally is hard - you don't find a lot that are earlier than the 60s and if they are, they're usually not in good condition and too expensive. Its easier just to buy online. Hope you enjoyed that as much as I did! 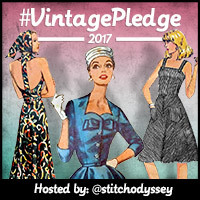 Don't forget to check out the #vintagepledge Pinterest board for inspiration, but prepare to have your mind blown! oh my! What a pattern stash, very lust worthy. 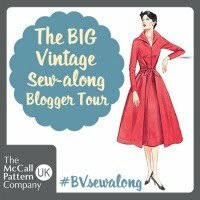 I really enjoyed this interview, it's great hearing from other vintage sewing !